Moodle, a Learning Content Management System, is an open-source project that you can install and use anywhere! With Moodle you can train or educate users online using a variety of methods. By virtually connecting to students you can inspire and excite them to learn. This introductory course will address Moodle from an administrative and teaching perspective. Moodle can be a very complex system, but by learning the basic elements, you can create online courses and enroll users so everyone can be a part of the virtual classroom. Take this VTC course and you will not only learn how to add courses and users to Moodle, but you will also learn how to enhance course topics with activities such as databases, wikis, and forums. To begin learning today, simply click on the movie links. The first 3 chapters of courses are available to play for FREE (first chapter only for QuickStart! and MasterClass! courses). В курсе рассматриваются следующие вопросы: • принципы криптографической защиты информации; • основные криптографические алгоритмы; • построение инфраструктуры открытого ключа. Для контроля усвоения знаний предусмотрено итоговое тестирование. В курсе использован лаконичный, интуитивно понятный дружественный интерфейс, направленный на повышение эффективности обучения. This three-day course focuses on the ScreenOS features that are typically necessary in large-scale networks, including dynamic routing, virtual systems, traffic shaping, and high availability. Upon completing this course, students should be able to successfully install and configure a ScreenOS device. Students should also be able to verify that a ScreenOS device is interoperating in the network as desired. Through demonstrations and hands-on labs, students gain experience in configuring, testing, and troubleshooting these advanced features of ScreenOS software. 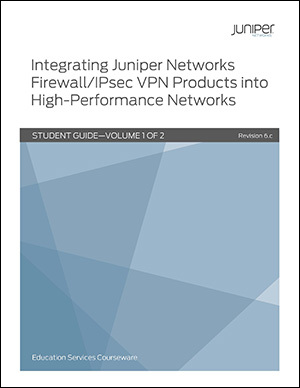 Integrating Juniper Networks Firewall/IPsec VPN Products into High-Performance Networks is an intermediate-level course. Курс предназначен для пользователей, использующих в своей работе возможности сетевого доступа к общему пулу конфигурируемых вычислительных ресурсов (облачные технологии). В курсе рассматриваются следующие вопросы: • Office 365: обзор интерфейса и основных возможностей • Создание, сохранение и просмотр документов • Редактирование и форматирование документов • Вставка объектов в документ • Совместная работа над документом. Практические и тестовые практические задания, реализующие деятельностные методы обучения, направлены на формирование и закрепление навыков работы с отдельными инструментами приложения. В курсе использован лаконичный, интуитивно понятный дружественный интерфейс, направленный на повышение эффективности обучения. This course teaches a calculus that enables precise quantitative predictions of large combinatorial structures. In addition, this course covers generating functions and real asymptotics and then introduces the symbolic method in the context of applications in the analysis of algorithms and basic structures such as permutations, trees, strings, words, and mappings. Analysis of Algorithms aims to enable precise quantitative predictions of the properties of large combinatorial structures. The theory has emerged over recent decades as essential both for the scientific analysis of algorithms in computer science and for the study of scientific models in many other disciplines, including probability theory, statistical physics, computational biology and information theory. This course covers recurrence relations, generating functions, asymptotics, and fundamental structures such as trees, permutations, strings, tries, words, and mappings, in the context of applications to the analysis of algorithms. Stacey Broughton’s advanced creative haircut uses a combination of classic lines, layering and disconnection. Stacey starts with a clean square outline using the precision techniques of a classic one length. He is careful of tension, even dampness, and comb and scissor action used in their purest form to achieve a suitable balanced line. Stacey then layers through the interior to enhance the head shape. The layering sits above the outline to push the hair and form an outward bevelled edge. Stacey then works an area of disconnection through the right-hand perimeter in the front. This flatters the face shape and provides an architectural detail and balance to the outline. The final result is a refreshed vintage concept with echoes of this season’s haute couture.